The function of the tonsils is to trap bacteria and viruses (germs) that a person may breathe in. The antibodies and immune cells in the tonsils assist to kill germs and prevent throat and lung infections. Tonsillitis is inflammation of the tonsils. It often precedes a sore throat and fever. 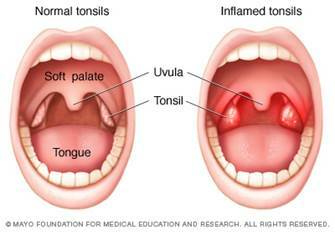 If tonsillitis occurs often, doctors perform a tonsillectomy, which is removal of the tonsils. Tonsilloliths, also known as tonsil stones, are clusters of calcified material that form in the crevices of the tonsils. They are yellowish-white, extremely smelly, and composed mostly of calcium. Every once in a while, we cough one up and it’s really gross. I hypothesize that tonsils have another function, and that is to neutralize acids. I actually see this as the primary purpose of tonsils, considering how often humans today consume citric, malic, tartaric, and ascorbic acid. I’ve written about the dangers of consuming acid before in “Citric Acid Destroys Teeth, Not Sugar”. Acids are corrosive, and it’s not just tooth enamel that’s affected. Acids will cause a contact burn with all living tissue, including the mouth, gums, tongue, throat, and esophagus. You’re probably salivating right now. I hypothesize that salivation is a self-defense mechanism. 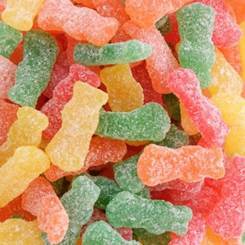 It’s your body preparing itself for the acid that’s about to wreak havoc in your mouth. What good is saliva? One, it can coat the surface of the tongue, teeth, gums, etc. to minimize the amount of exposure to acid. 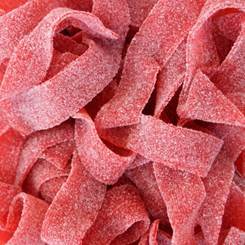 As you may know, if eat too much sour candy, your tongue will bleed. Two, saliva can dilute the acid concentration. Three, I hypothesize that saliva transports acid to the tonsils and acid neutralization occurs. How is an acid neutralized? With a base (calcium). Humans use calcium carbonate in acid-neutralizing water filters to raise the pH of acidic water and neutralize its corrosiveness. The product of tonsils are those disgusting, stinky tonsil stones. I believe a tonsil stone is an amalgam: an acid that has been coated/neutralized with calcium. Many people have noticed that they cough up tonsil stones shortly after a bout of acid reflux. This is no coincidence. This is the work of tonsils protecting the mouth of gastric acid coming from the other direction. Gastric acid has a pH of about 1.5, which is very corrosive. So what’s the point of neutralizing acidic foods before they enter the super acidic stomach? I believe it’s to protect the throat and esophagus, and also to neutralize any acid lingering in the mouth. Today, I believe we’re doing the opposite of what the immune system actually wants. When we get a sore throat, the popular remedy is to drink either apple cider vinegar or lemon juice and honey. The pH of apple cider vinegar is about 4 and the pH of lemon juice is about 2. They’re both extremely acidic. That is the point, though, because we’re trying to dissolve mucus and germs in the throat. I don’t think we should be doing this because it was probably overconsumption of acid that backed up the throat and inflamed the tonsils to begin with. Fact: if the tonsils are inflamed then they’re being heavily taxed. If tonsils are chronically inflamed, it’s common to have them surgically removed (i.e. tonsillectomy). I think this is a huge mistake. I believe chronically-inflamed tonsils mean the person is chronically consuming acids. This is very easy to accomplish in this day and age, where 99% of sodas and fruit-flavored candies contain citric acid. Assuming I’m correct about the acid-neutralizing function of tonsils, doctors today are removing an organ from the people who need it the most. Without tonsils, their throats are left to be ravaged by acids for the rest of their life.